Showing the way forward: As if five Bundesliga titles weren't enough, Robert Lewandowski has now had a street named after him. Residents of a Polish town have named a street after local hero and Bayern Munich star Robert Lewandowski. 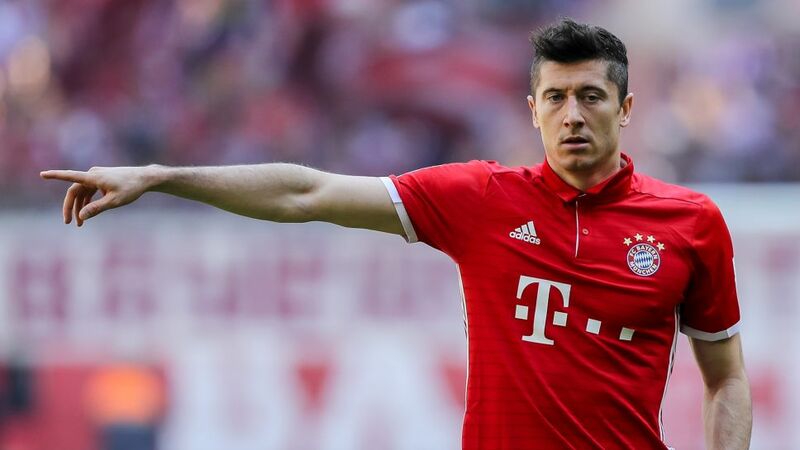 Over 100 inhabitants of Kuznia Raciborska, a town in southern Poland, have signed a petition to have a street named after the Bayern forward, who — according to Polish media — gave the thumbs-up to the idea. The street, which is in one of the town's main residential areas, is currently named after General Karol Swierczewski, considered a hero during Poland's Communist regime. Polish Footballer of the Year for the last six campaigns, the former Lech Poznan forward scored a UEFA record 13 times to help his country qualify for UEFA EURO 2016 where he helped them reach the quarter-finals. Watch: All 30 of Lewandowski's goals from 2016/17!